MUMBAI: Badshah’s most awaited dance number, Tere Naal Nachna is finally out. The rapper is seen grooving with Bollywood actress Athiya Shetty and dancers-turned actors, Raghav Juyal, Punit J Pathak and Dharmesh Yelande in the song. Their collaboration has been the talk of the town since its announcement. But, what caught our attention was Badshah’s Mithun Chakraborty move. Badshah features in the music video with a cool swag and in the very beginning of the song, he is seen flaunting the kickass Mithun Chakraborty step. This short glimpse of his dance is one of the key-highlights of the song. 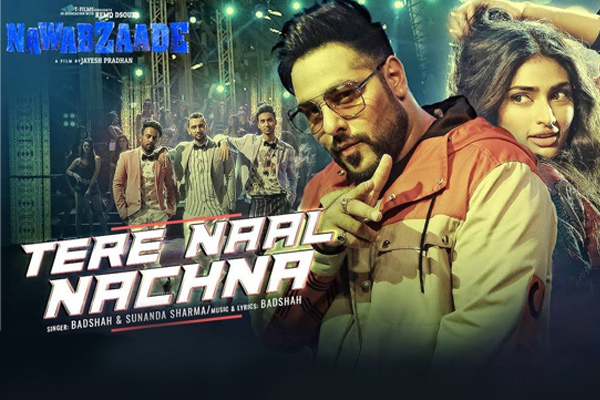 Sung, written and composed by Badshah, the female vocals are by renowned Punjabi singer, Sunanda Sharma, who has sung songs like Patake, Jaani Tera Naa. The song, released by T-Series, has a beat that will instantly make it to every playlist and club. When it comes to fashion, Badshah’s eye-catchy jacket is bang on! The rapper, who is always seen donning a black jacket, has finally added colours to his wardrobe that makes him look even more handsome. Tere Naal Nachna is the second song sung by Badshah after Tareefan. Just like Tareefan became a hit number and is about to cross 100 million views on YouTube one expects Tere Naal Nachna to reach similar heights. MUMBAI: Rapper Badshah is set to make his acting debut in a film, which also stars Sonakshi Sinha, Varun Sharma and Annu Kapoor. He says he is extremely nervous but will give it his best.